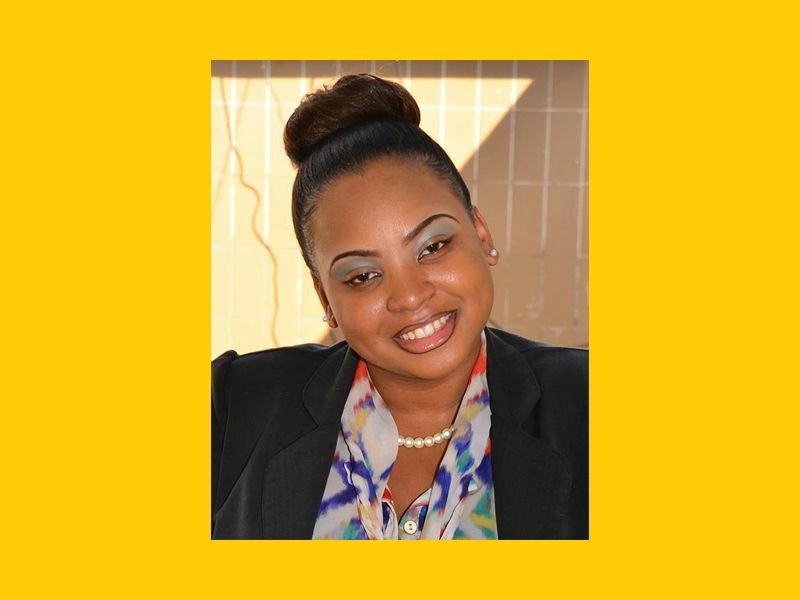 A resident of East End, Quéyanna grew up as an only child under the watchful eyes of her mother and father attending Alexandrina Maduro Primary and later Elmore Stoutt High School. She then studied briefly at the H. Lavity Stoutt Community College (HLSCC) before moving to DeVry University in Atlanta. She graduated as one of the youngest in the Atlanta area at age 20 years with a Bachelor’s Degree in Criminal Justice and immediately moved on to a graduate degree in the same field and later completing her Master’s degree by age 22. Quéyanna has worked in several roles briefly including as a Clerical Officer and Professional Cadet but her most memorable role has been that of acting Personal Assistant in the Deputy Governor’s Office which she performed for just over a year. She has described this as her most challenging and demanding role to date and said it offered an invaluable learning experience for her fledgling career as a young professional. Some of the critical lessons she took away from the post, Quéyanna said, included prioritising issues and remaining ahead of things. 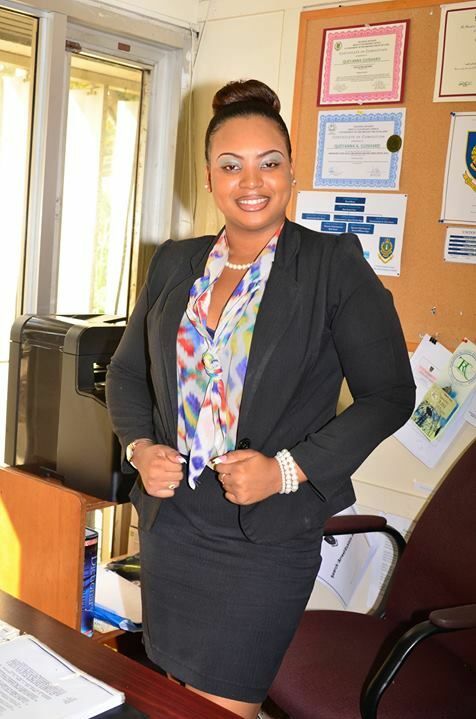 Since that post, Quéyanna has risen to her calling in working as an Intelligence Crime Analyst with the Royal Virgin Islands Police Force (RVIPF). Her influence, she disclosed, comes for her passion for deterring all levels of crime in the Territory and this is what largely led her in the pursuit of studies in Criminal Law. Our Young Professional said she loves her job and takes pleasure in performing her various functions. “I just wanted to do something where I would have a bit of a challenge and I could actually help and make a bit of a difference somewhere,” the young Analyst expressed. Although it can be overwhelming at times and entails a lot of reading, Quéyanna remains steadfast at what she does. “It’s nothing like I’ve ever experienced at all,” she says of her role. She now hopes to pursue computer studies at the local college which will eventually allow her to work in cybercrime as well. 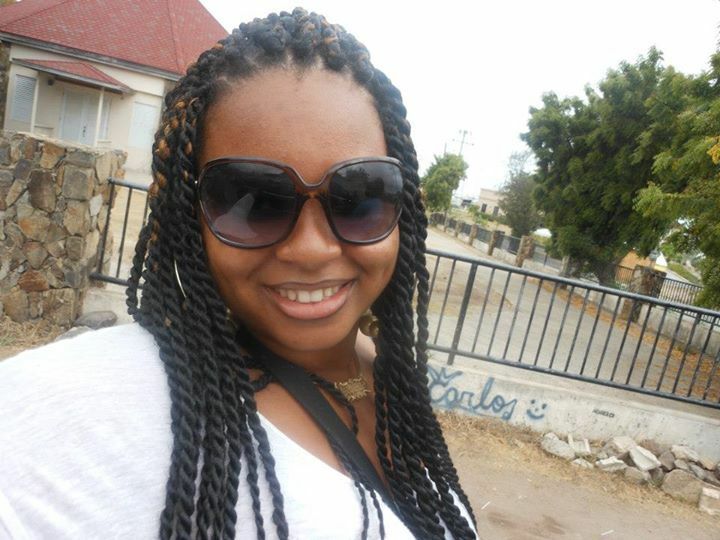 Outside of her day job, Quéyanna said she also loves to travel and is an avid shoe shopper as well. She hopes to one day become an entrepreneur in her own right as well by acquiring her own shoe store and car rental. She also has a passion for music and has played the clarinet, violin and piano. She now serves as a member of the Follow The Movement Group after being highly recommended by her former boss to the President of the Group. Our Young Professional also expressed an intense passion for working with children and worked briefly at a Daycare Centre during her studies. “I really, really like kids and have the utmost respect for them because I respect their intelligence, their youth and their imagination…” she related. She hopes to someday also work in the Family and Juvenile Unit of the Force. Quéyanna advises youths to never let finances be a deterrent to achieving their dreams, “Never let the money be the issue… I didn’t get a scholarship but I didn’t let that stop me,” she said, "I have fun but I work hard first." Thank you my dear cousin. I appreciate the support dearly and I want continue encouraging you and all who have their backs against the wall to strive beyond your most insane ideas, thoughts and imaginations by making them a reality. Congratulations cuz. I am so proud of you. The sky is the limit!!! She's young, ambitious and beautiful...triple threat looks good on you girl! Now that's a boss movement. Kudos chiquita! BEAUTY and BRAIN! complete package, I wonder if she is single. CONGRATS to VINO on this. Just keep your head on. It gives me great pleasure to salute you again my one and only child. Long hours and days were my schedule for you as you journeyed through your higher school of learning. It was worth it. I am proud of your accompolishments, like any mother would be. To God be the glory and may he continue to bless you aboundantly, guard, guide and direct your path as you continue to excel in life. You are a gem, continue to always be mindful of others as your reward will be highly favoured. I Love you my Gem. Most high showering you with all the blessings he had for you que keep up the good works! Congratulations Sis! I am so proud of you and I hope that God continue to bless you with your achievements..As you would always tell me #Beauty & #Brains...Love you..! Thank you lil sis ♥ love you too. Never in my wildest dream, I would of taught this girl already holds a masters degree..like wow impressive. How do you do it without a scholarship rich family maybe? enlighten me please. Beautiful!! Simply beautiful inside out!!!! You're surely driven and on the way to higher levels of success!!! Keep up the good work babes! Thank you Kade! I appreciate your generous comment. <3 Muah! Your such wonderful inspiring lady. Hope you inspire others in the community to be the same. But how far can you go ?? Only by trying you will know. Hope you keep on walking forward. Very impressive but they need to also let the public know that she can drive standard cars lol. i hope you all see how she does handle her JEEP lmao like a man. Anyway good job! You deserve this. Good job 'Q'. You are a humble and down-to-earth person. You are going to go far with qualities such as these. Continue to strive. love you. 'M' and 'L'. Thank you my VG family. Love you guys. I am so proud of you QUEYANNA, KEEP UP THE GOOD WORK and remember to always put God first. I am very proud of you my great niece and your achivements. Keep up the good work. Alway put GOD first in every thing you do. Keep on trusting in Him and you will accomplish anything to set out to pursue. Love and bessings in Jesus name Que! Que! Very good pick vino. I enjoy reading about careers that are different from the norm! !